Maintaining a beautiful, elastic & wrinkle-free skin is no easy task. However, when you are equipped with the right tools, it will prove to be a priceless investment. What is the secret to beautiful skin? Firstly, genetics play an important role. Then, it depends on how the skin is treated if it is lacking the required care. There are some tips that can be used on a daily basis to ensure a more radiant skin for longer. A good and reliable skincare routine, particularly for the face is imperative. Avoid going to bed without cleansing the skin. Creams, make-up, sweat and the like clog the pores hindering the skin to breathe. Very important for beautiful skin is a comprehensive skin care. Sebum forms and bacteria growth increases causing skin problems to occur. Water alone does not rid the skin of excess oils, whereas soaps strip the skin of its naturally occurring oils. It is advised to use a facial cleanser that corresponds to your specific skin type. Facial masks are always a good idea and are specifically developed for individual skin types. 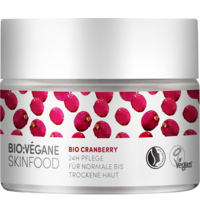 They supply the skin with needed nutrients and the results are almost instantly noticeable. A clever trick is to place a warm cloth on the face first. The steam opens the pores allowing the nutrients to be absorbed better. Applying peelings and scrubs on a regular basis (once a week) help to minimize pores, eliminate blackheads and promote circulation. Lastly, our skin adores massages. Take a few minutes to massage the skin with your daily moisturizer or cream for three minutes, using small circular movements. Simply remove the cream with a paper towel and commence with your daily routine or make-up application. We are all aware that a big part of the human body consists of water. Consuming a lot of water helps with the appearance of the skin. Wrinkles caused by dryness become more apparent when too little water is consumed. Drink your first glass of water on an empty stomach when you first wake up. Enriched with a dash of lemon juice to boost the metabolism. UV rays cause the skin to age. Worst case scenario: it can cause skin cancer. Protect against harmful UV rays is therefore indispensable. 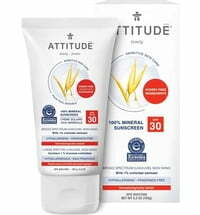 Stock up on sunblock and or cosmetics that already contain UV protection. Make a habit out of eating fresh fruit and vegetables. Vitamin A promotes cell division with helps to form elastic fibres. Carrots, broccoli, spinach and pumpkin prevent skin from becoming dry. The connective tissue is firmed thanks to the properties of vitamin C and E.
Stay clear of nasties such as nicotine and large quantities of alcohol. Nicotine and other harmful chemicals in smoke cause the skin to age drastically. The blood vessels are narrowed which restricts the blood flow, making skin appear grey and dull. Smoking causes the skin to look five to ten years older than it actually is. Too much alcohol dehydrates the body, which has an adverse effect on the skin. Skin cells are regenerated while you sleep and skin appears more fresh and youthful. The added nutrients contained in night creams (amino acids, ginkgo, tiger grass and wheat protein) supply the skin with extra nourishment overnight. Take time out to relax for your health and the health of your skin! Hair Types & Hair Care The Pureness of Nature for your Teeth!